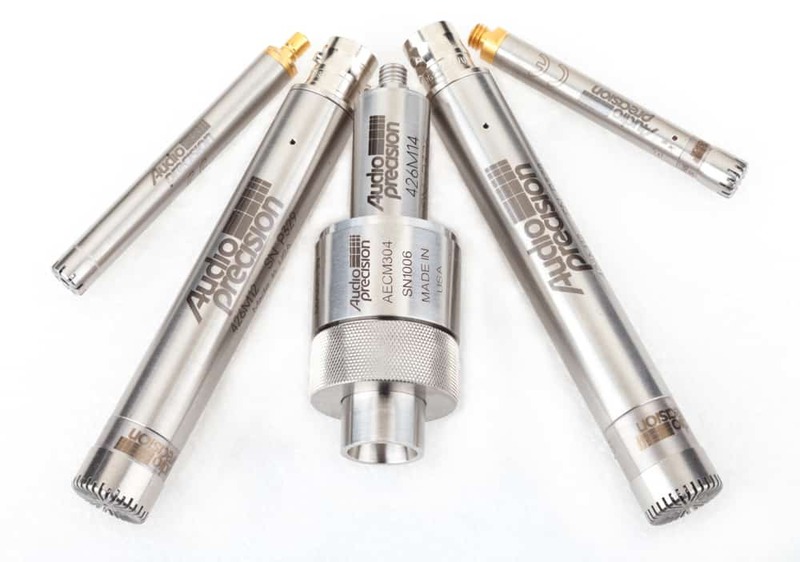 The Audio Precision family of calibrated measurement microphones. The AP microphone family includes two ½-inch and two ¼-inch measurement mics, as well as an occluded ear simulator. All units are pre-polarized, TEDS-compliant and CCP powered. The microphones are calibrated, ensuring the utmost of confidence in measurement results when paired with calibrated instruments such as the APx515 Audio Analyzer and APx1701 Transducer Test Interface. Each mic is delivered with its own certificate of calibration.